As a follow up to my previous post on Setting Up an iPhone for Kids, some asked how to set up Apple Family Sharing. I stayed away from this in the previous post because it can be complex and confusing. Enough folks asked I thought I would write it up. First up, you have some decisions to make. There are actually two places for your Apple ID - your iCloud account and your iTunes account. They are both Apple ID's but you CAN make them different or the same. First, what are they? iTunes - This is the account listed on your phone under Settings - iTunes & App Store. It is listed at the top. Chances are unless you are a techie it is the exact same account as your iCloud Account. Think of this as stuff you buy in the iTunes Store. Adele's new Album, Star Wars Movies, and anything else is tied to this account. What you buy on this account is yours. 1. Create One Apple ID for the family and use it for both iCloud and iTunes on all devices. This is super easy to set up because one account and one password! The problem here is also one set of data you create and purchase, across the entire family. If Thing One buys Pretty Little Liars, it shows up on your phone, if Mama purchases another smutty book, it shows up on your phone. Same goes for their contacts and calendar entries, everything is shared! I'm a big believer in personal space so this isn't a valid option for our family. NOTE: When you set up Apple Family Sharing, the default payment by the Organizer is the ONLY way to pay. At first I didn't like this because our oldest was actually managing her own account and payments and now she has to go through me. We have adjusted over time but know that BEFORE you decide to do it as that wasn't clear to me from Apple. What if you are currently Option #1 or #2 and want to move to #3? I was Sharing an iTunes Account (Option #2) but moved to Family Sharing (Option #3). It is possible but takes a little time and patience. If you still want to share purchases to everyone, this has to be enabled on each account. Right now none of us share our purchases but we are trying to talk Thing One into sharing hers because she has all the good music. To share your purchases with the family, go to Settings - iCloud - Family - (Touch on You) and enable Share My Purchases. There is no granularity here so ANYTHING you purchase will be shared with the family, you have been warned. In an attempt to both limit our children's data consumption and teach them responsibility, I came up with the following settings for the iPhones in our house. This will get you a phone that is somewhat locked down both in purchases and cellular data consumed. Prevent as many applications as possible from using data in the background while the device is off or other applications are active. If it is an application I want to stay up to date all the time or won't function without this features (Nike Running), I'll turn it on. Almost all applications I have turned off. Be sure to turn off any high bandwidth apps (SnapChat, YouTube, Twitter, Facebook, Instagram) Go to Settings - General - Background App Refresh and disable as many applications as you can. Prevent as many applications as possible from using your location. I do this mainly for battery life as too many apps want to track you and use the GPS in the background. It's creepy and a waste of my battery. Again, I turn off as much as I possibly can and I turn off almost all background use. Settings - Privacy - Location Services. From here I change almost every app to either "While Using" if the app needs the GPS or "Never" if it doesn't. Some apps just don't need to know where I am. On my phone I have changed every application to either While Using or Never except the Weather App. A few more location tweaks. I go to Settings - Privacy - Location Services - System Services and disable Location-Based iAds and Frequent Locations because again, creepy. I also change Settings - Privacy - Advertising - Limit Ad Tracking to On and hit Reset Advertising Identifier. Next up is limiting cellular activity. Since most apps have already been disabled in the background, this is about stopping some apps from using cell data when you launch them. For instance, our youngest has limitations around certain apps (YouTube, NetFlix, etc.) to teach her the difference between wireless and cellular. One is free and one can cost a lot! Go to Settings - Cellular and scroll down to the "Use Cellular Data For:" section. Disable away... Lastly, I turn off Wi-Fi Assist at the very bottom. Again, this prevents confusion and headaches of a bunch of cell data being used without your knowledge. This assumes you have an iPhone 5S or later with the fingerprint reader, if not use this as your guide. The finger print reader is cool because you can use it in a bunch of place, including the iTunes Store. I have everyone's phone set up to require authentication every time because it makes them think do they really want to purchase this (they pay me for anything they buy). Go to Settings - TouchID & Passcode and enable TouchID for iTunes and App Store. Scroll down and change Require Passcode to Immediately. Not that your Photos are backed up in the cloud, let's back up all your phone applications and data. Go to Settings - iCloud - Backup. Make sure iCloud Backup is enabled. Find Your Phone is next. Your kid lost their phone in the house somewhere but no idea where, this is a life saver. Settings - iCloud - Find My iPhone. Enable Find My iPhone and also Send Last Location. Have you ever received an iMessage or FaceTime from one of your friends but instead of their phone number, it shows up as an email address? I have no idea why but every once and awhile, Apple seems to change this setting. If you change the default address to your phone number you are much more likely to be recognized in everyone's address book. In Settings - Messages - Send and Receive scroll down to "Start New Conversations From" and select your cell phone number. Repeat this for Settings - FaceTime - CallerID and select your cell phone number. I honestly haven't disabled this one because it hasn't been an issue in our house but Apple Music does offer Apple Radio and music streaming which can use data. If you don't want this for your kids, go to Settings - Music and disable Use Cellular Data and High Quality on Cellular. From the Facebook App (not Settings), go to More - Settings - Account Settings - Videos and Photos - Autoplay and set to On "Wi-Fi Connections Only"
From the Twitter App (not Settings), go to Me - Settings Cog (looks like a gear to the right of your profile picture) - Settings - Video Autoplay and change to "Use Wi-Fi Only"
Splunk on stage - All core products run on AWS, Splunk cloud (they run it for you), Splunk Enterprise, etc. What has changed over the last year? Customers are moving from just dev/test and peak apps and moving true production workloads en masse to AWS. Splunk can help with visibility between on-prem and AWS. Mentions customers - Coca-Cola, Nike and their use cases. often POC on Amazon and then moving production to AWS. Saved time and money using AWS. OmniFone on stage - online music platform, talking about the music industry and the complications of music as an industry. They started with a 15 million platform, it didn’t hold up to the load. They could’t iterate fast enough. They had to start over and started over on AWS. “AWS was the only choice” (Also noticing that as a common theme of the guests, they are all saying it). Now has a geographically scalable, redundant services across the globe on AWS. Building this platform has allowed the music industry to build what matters. They have delivered more audio/video faster than ever before. Says today budget’s of most CIO’s for Dev & Test are between 40%-60%. How do you optimize that and make that portion of the budget faster. The Weather Company (The Weather Channel) on stage - talking about weather as a science and data platform. How do you great services based on information you can’t control but potentially affects both business and lives all around the world. They have built a platform on AWS to feed others (Apple, Google, Yahoo, etc.) to move beyond cable. Also feed data to all major airplanes to help with traffic control. Provide data to local broadcasting companies all over the world. They want to be the “data warehouse” for all things weather in the world. They didn’t start this way, had a traditional model of physical data centers with physical hardware. They had to change both the infrastructure as well as the culture. They choose AWS for scale (scalability point hit again), as well as confidence in the services. Platform has provided close to 100% uptime and weather forecast is less than a second by analyzing over 800 sources around the world. The platform allowed them to “go faster” and constantly improve the accuracy of forecasting over time. Slide - Containers are the key to our growth, this allows them to develop once and run everywhere. Rollback are simple, etc. Talking about the combination of AMI’s for the base image and the layering of containers on top is the “perfect match” for them and allows them to go as fast as possible and scale beyond anything else that is out there. Werner back on stage - Why do developers love containers? 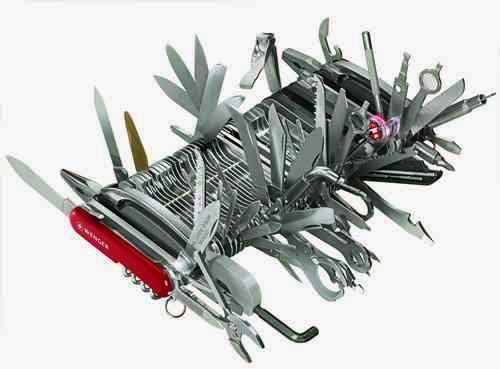 Going into to all the usual containers value proposition. talking about containers do present some overhead challenges set up. Demo of Docker containers into the system on stage now (I can’t see the screen well sadly). Instances (AMI’s set up), register the cluster with the service. Name the Docker image that will be used, start running the task. Single instance, deploy and scale to 5 instances, deploy front end. Docker CEO, Ben on stage - Where isn’t Ben these days?! Good for him and good for Docker…. Developers are content creators - Docker removes the “crap work (my words)” from development and allows developers to go faster. Just passed over 50 million downloads of Docker! What are the primitives of cloud in an execution environment? talking about data, triggers, and actions of applications. A data change triggers an action to update other portions of data. Netflix on stage - talking about micro-derives and Lamba, they can replace inefficient existing services with trigger based serves. Werner back on stage - Units of cost for Lamba - number of requests, execution time - there is a free tier for each customers each month - today it is available as a preview. Announcement - New Instance offering C4 (based on Haswell processor), up to 36 vCPU’s, EBS optimized by default and included in the price. My take: It would appear they have hit on a few key differentiators to move forward beyond iaaS. Scalability (to differentiate from on-prem), API’s for developers (to differentiate from other public clouds), and services across the broad ecosystem. They want to be the developers model of choice and seem to get the only way to get “next generation applications” is to enable the developers and start down the micro-services and containers path. Over all, super impressed with year vs the keynotes of past years. David up first - his background is a very traditional datacenter hardware centric background. He had a project to build on AWS. Had to rebuild them all by hand… (ouch) How do you prevent this from ever happening again. AWS Cloud Formation was now the basis for “Infrastructure as Code”. Too much configuration that was done by hand needed to be automated to recover quickly. Also, this allows iteration of new development cycles very fast as a side benefit to go forward. Create a template, check it in, code review, deeply worldwide across AWS regions. All automation handled through CF. Tom from Simple.com - (customer testimony) - simple is a bank. SOA architecture on AWS from Day One. They started at the console just like most everyone. As they developed features and grew, this got out of control. They didn’t know who changed what and what happened. And then along came PCI compliance… No way to audit and report on the current infrastructure. Had to start over from scratch. Goals: Security / Insight / Growth / Speed - these were the 4 pillars of the new infrastructure. What are the benefits of this automation? They write code every day, they simple added the ability to spin up infrastructure and moved this into the code flow greatly increasing efficiency and agility of the organization. This also makes the infrastructure programmable. For example, there is a chance in PCI compliance, simply push out the change in code. The developers can now handle the infrastructure. They have evolved from 20-200 people and are still using this method. Alex - demo application (web application) running on AWS. Cluster of 5 machines. talking to a git repo, made a chance in the code to increase the size of a graphical fix. commit the change, refresh and it was fixed. Supposed to be 5 machines, only one is talking. Modified Cloud Formation instance to talk to 5 hosts, commit, refresh the app, now more instances talking to the front end. First Customer is up - MLB (Major League Baseball) - CTO of MLB.com, started from scratch, now a six billion business for MLB. They built a PaaS they share with other providers (ESPN, etc.). Want to be on any screen at anytime for events. StatCast is hosted on AWS, new system to go really deep and apply big data and prediction to baseball stats and players. How do they capture the data? Radar sampling that tracks ball over 2000 a second, can “see” the baseball rotation it is that accurate. 17 Petabytes of data per season. AWS was the only one with scale and bursting capability (what do you do in offseason when you don’t need it). Keep adding to data warehouse over time to provide historical stats. Example - Breakdown of play during the World Series, shows how runner started slow (because he thought is was easy) and then sped up at the end. He was out by .2 second. If he ran the whole time, he would have been safe by over a foot. Jassy is back - talking about transformation to Cloud Native Applications. You don’t have the option to move slow anymore. Second Customer is up - CEO, Healthcare Company (sorry, didn’t catch the name, Phillips maybe) - going through a real world customer use case who had cancer and how they determined this (took blood that indicated it, found the cancer, showed patient how to adjust lifestyle and live with it vs. radiation treatment). This was real time data and fitting a treatment to the customer vs. other traditional alternatives using big data. How do we turn a mountain of data into Actionable Items? This is where real time data comes into play. They are adding a PetaByte a month to the system right now (common theme here of scale and how no one else can scale like AWS). No one can support the large amounts of data. Jassy back - Slide - Is there hope for a new normal in the area of relational databases? Old world DB’s are expensive, locked in. Many Enterprises are looking to MySQL and PostGres as an alternative. The OSS DB’s are hard right now…. (Announcement) - Amazon Aurora - Commercial Grade Database Engine - in development for 3 years, MySQL compatible but at 5x performance, same or better availability than Enterprise versions at 1/10 of the cost of the leading solutions in the market. Product dude brought out for Aurora (didn’t catch his name) - Biggest Enterprise pain today is world class databases. They started with a blank slate and knew they wanted MySQL compatibility. Compatibility with MySQL 5.6… 6 million inserts per minute, 30 million selects (I heard some folks around me saw wow to that one, I guess that is a big deal), data automatically backed up to S3 and highly available, crash recovery in seconds, database cache survives restart (no warming). Most features available only in Ent. class offerings. (Announcement) - AWS Code Deploy - Central monitoring and control, works with “virtually any” language and tool chain set, available today, free to use. Performs roll backs of code as well as commits. (Announcement) - AWS Code Commit - code repository without size limits. Now talking about compliance - They are now ISO-9001 compliant. They have been working with healthcare customers to achieve this level of certification. Dev/Test - Many Enterprises are using Dev/Test as a starting point for AWS. CTO of Intuit on stage - They are moving all their applications to AWS. As Intuit evolves into a majority SaaS company. Over 8,000 employees, 3,000 engineers. Multi-billion online and mobile services. Had lease on datacenter up and migrated over to AWS. 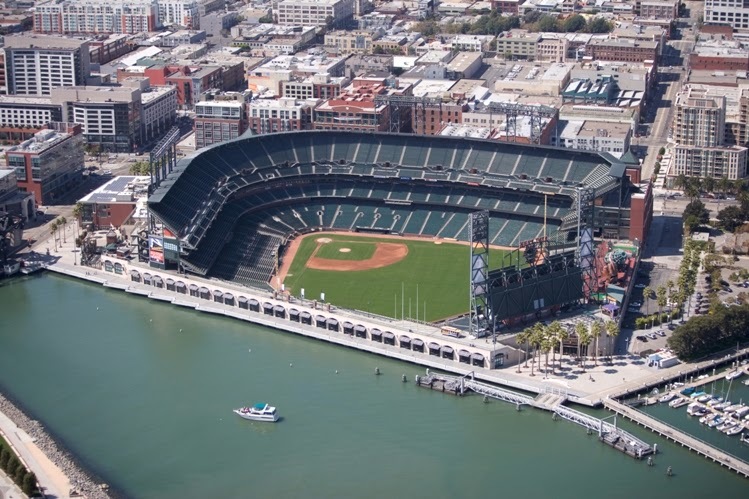 6x cost savings, 1/5 of the time for buildout, developers were able to move faster. Over time this trend increased, starve the old, build new in AWS. Many acquisitions were built on AWS so that made absorbing them into Intuit very easy. Jassy back - Talking about Hybrid Infrastructure (not Hybrid Cloud according to AWS). Jassy talking about a lot of Enterprises that still have on-prem resources because they aren’t ready to move to cloud. Talking about all the Hybrid features (VPC, Direct Connect, vCenter Integration, Access Control, Directory Service). My take: Keynote felt very different from past years, company has moved from announcing more offerings (look, new compute offerings!) to announcing services to expand the ecosystem. Makes sense as the growth has slowed and they need to pick it up. Felt like a VMworld keynote from 5-7 years ago. A company that is starting to branch out and may very well start eating their own ecosystem so they can continue to grow. Also thought it was weird the pre-announced a few things this year. Not sure if they didn’t get them out in time but pretty sure they haven't done that before. AWS has gone from the “stealth IT little guy” poking the Enterprise in the eye and telling them they are doing it wrong and is now embracing the idea that they need the Enterprise and they now need to be nice to them. The fact that Jassy didn’t crap all over “Hybrid Infrastructure” and actually talked about it at the end helps prove this point. I believe the Aurora and CI/CD announcements will move the needle and look really awesome. The security announcements were needed to fill out the Enterprise portfolio. The Service Catalog could be interesting when it releases. OpenStack Summit Session Voting - Please Vote! Lastly, I have three sessions up for consideration, please vote if you are interested and I hope to see everyone in Paris! Cisco Live: Lenny Kravitz & Imagine Dragons! What?! This post has a personal as well as corporate level. First the personal. 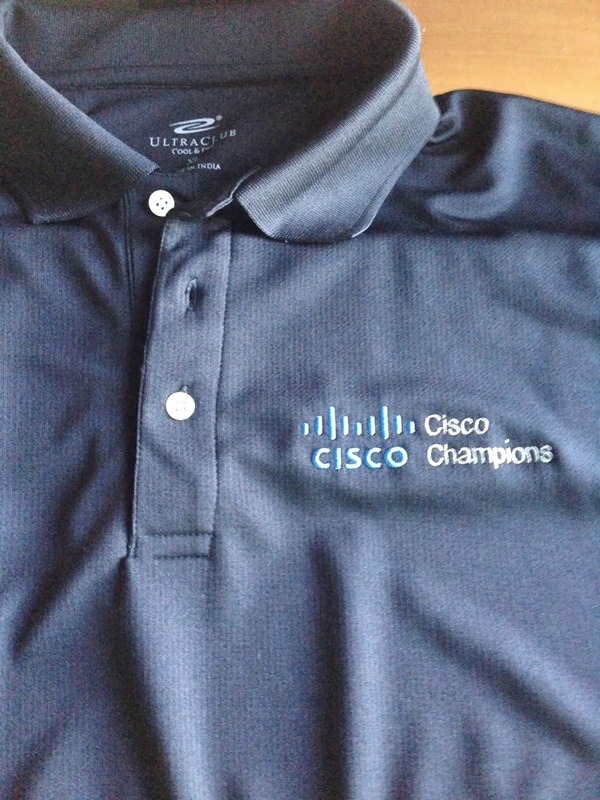 I was recently selected as a Cisco Champion! A huge thanks to Cisco for allowing me access to the program and they have done an amazing job of incubating and developing a program to get their word out in new and creative ways. I threw the graphic label up on my site but I haven't really had the bandwidth to talk about it until now. Cisco has chosen a great community and it has been an awesome ride so far! Ok, enough of that. The Cisco Champions got the scoop yesterday on some great upcoming announcements for Cisco Live! coming up May 18-22 in San Francisco. I'm hoping I can make it to the event but planning for the "day job" is still in the works. If want to register, HURRY UP! Deadline for Early Registration expires tomorrow, March 15th. What is there to look forward too at the event? 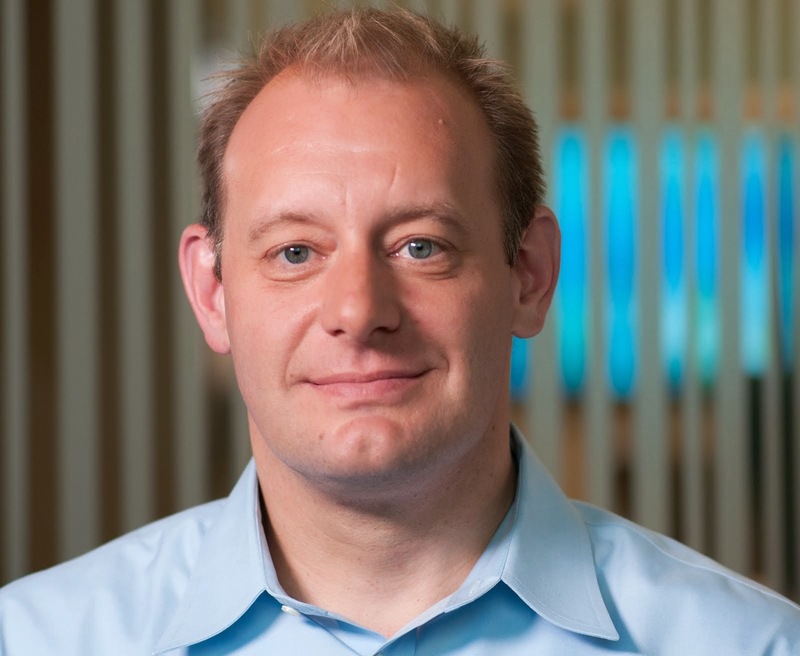 Rowan Trollope (better known as the person who tries to keep Peder Ulander in line) did a great post yesterday on the Next Generation of Cisco Collaboration Experiences. This is the biggest announcement of new products since TelePresence and I can't wait to hear more about the products in the near future. A few highlights of the new products to look forward to at Cisco Live! But who is playing the Customer Appreciation Event?! I'm fulfilling a New Year's Resolution to get back into blogging. Life has been crazy (but good crazy) and it's time to reestablish some old habits. If you listen to the Cloudcast you know that Shmuel Kliger, CEO & Founder of VMTurbo was a guest back in December. I didn't know it then but that episode was the first step in a major education that I wanted to pass along to everyone. Let's start with what you probably think about VMTurbo. You probably think they are a monitoring solution for virtualization, specifically VMware. If you thought this, you are not alone. I'll attempt to convince you that VMTurbo has a pretty unique value proposition and is properly aligned at the intersection of a bunch of upcoming data center operations trends (Software Defined Anything, Public and Private Cloud, etc.). Version 4.5 of their product was released a little over a week ago and here are a few items I observed in the last few months digging into the product. A major shift within the last 12-18 months has been the advance of multiple hypervisors and private cloud IaaS projects and products. The virtualization world isn't a one horse race anymore. Many other hypervisors are now "good enough" and the case can be made for certain workloads to run on non-vSphere environments. As you can see over on the new product page, VMTurbo works with all the major hypervisors and private/public cloud IaaS offerings. They cover vSphere, vCloud, Xen, Hyper-V, CloudStack (and Citrix CloudPlatform), OpenStack, Azure, and AWS. This is smart of them, really smart. I see workloads moving all the time to different environments (and sometimes moving back). Finding a tool to cover all possible infrastructure combinations is difficult currently. What Do You Mean It Isn't Just a Monitoring Tool? This is where VMTurbo gets really interesting for me. As mentioned on the podcast, I'm an old data center operations guy and it has always been a passion for me. I have been exploring not just WHAT VMTurbo does but HOW it does it as well. Yes, the product monitors complex systems but the WAY it does it is very different. This isn't just a bunch of agents running on machines and sending alerts back (or SNMP traps!) and then somebody gets an email or a page to take a corrective action. Just because you get an alert doesn't mean you know what corrective action needs to take place. What is the cause? Is there a problem downstream (a hot spot on a disk on a volume or LUN creating disk latency)? Monitoring systems often detect "black outs" (something is down) but don't do as well with "brown outs" (something isn't performing optimally) because most monitoring systems don't understand the connections from the lowest level of hardware all the way up to the application and potential performance impacts. Only by understanding how application resources are mapped to physical infrastructure can insight be gained into optimal performance of a system. Take the computer or mobile device you are reading this on as an example. Every part, thousands of them, have to be made from raw materials, brought together, shipped, and offered to you as a product. You are the consumer. Now, think about an application or a workload as that consumer. 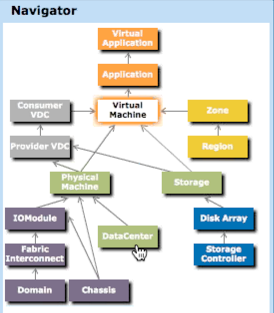 All the underlying parts (disk, memory, compute, network) need to be combined and offered as services (hypervisor, virtual machines) that are consumed in various amounts by the application. Furthermore, each resource can serve as both an input and an output. Some will take resources, but will also serve resources to others. By taking this approach, everything in the system becomes Data (with a capitol D). Once everything in the system is Data, you can start to apply some universal concepts such as a Common Data Model and System Optimization through the Economic Scheduling Engine. I'm going to take each one of those in turn. What is a Common Data Model and why should I care? Here is anther way to understand this mapping. When I was at IBM supporting business parters about 10 years ago virtualization was just starting to heat up. Part of the early days of this market was convincing customers with physical infrastructure to go virtual. The demand was there but the tools at the time were not. Because of this my team would go in and analyze physical environments and then break them down (using a common data model) and carve up workloads and perform a manual calculation of how much virtual infrastructure would be required to support the proposed environment. We would map out applications down to the basic compute, memory, storage, and networking requirements. This was a complex operation that took weeks and lots of manual calculations and Excel formulas to accomplish. VMTurbo does basically that same thing and does it automatically without human intervention! This could have saved me hundreds of hours back in the day! The Common Data Model is about more than just analysis. VMTurbo is able to recommend and (if configured to do so) will actually remediate environments to optimal operations. That takes me to the next section. 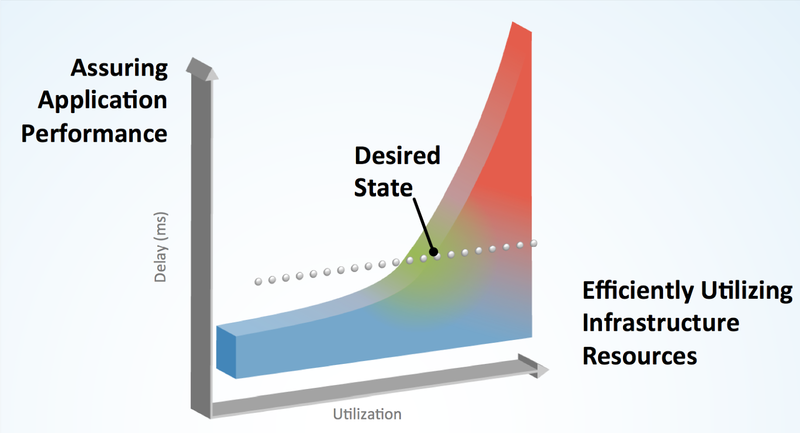 What is System Optimization through the Economic Scheduling Engine and why should I care? We've talked Supply Chains to death, let's talk about Goldilocks for a bit. Most people in our field don't know it but they are always searching for a Goldilocks State of Operations. Our customers are looking for something that isn't too big, isn't too small, but just right. The problem with this is our applications and workloads are often dynamic and changing and so finding the "just right" spot is hard because it is constantly shifting. Too little resources and application performance may suffer, too many resources and we are wasting money through over provisioning of resources. This is where the whole "cloud computing" idea comes into play. Cloud computing can be boiled down to the concept of Dynamic IT, dynamic pools of scalable resources. As our application workload shifts and moves, our underlying IT infrastructure must shift and move to compensate. This is what we call a "perfect state" in an economy system. We are providing just enough resources to be consumed. VMTurbo uses this model to constantly monitor the resources demands and attempt to move and shift resources as needed. Think of it as VMware DRS for your entire infrastructure. The only way to do this is to map and understand the relationships of the infrastructure to the applications and how to make corrections as needed. VMTurbo attempts to provide a Goldilocks State of Operations to your entire infrastructure. If you are still with me, thank you! In conclusion, VMTurbo is a pretty unique product that I have been having a great time digging into for the last few months. Through the use of VMTurbo's Common Data model as well as the Economic Scheduling Engine they are able to really provide a product that is well suited to tackle the increasingly complex infrastructure interdependencies as well as ever increasing and shifting application workloads. Go check out the site for more information. Disclaimer: As noted, Shmuel Kliger was a guest on the Cloudcast podcast of which I am a co-founder. I also attended a pre-release briefing and product demonstration on VMTurbo 4.5. No compensation was given or expected and I'm writing this blog post because I think it is cool tech and wanted to help get the word out. Big thanks to M. Sean McGee for his Goldilocks UCS Blade Post a few years back. The title is an homage to that post. What happened to the last 3 months?! To say it has been a busy summer has been an understatement. Hopefully more blogs coming in September for some cools things I'm working on but here is a recap of the last few months. Speaking in Tech Podcast talking OpenStack, CloudStack, etc. I've also been generating a lot of content over the summer, too much to list here. Go check out my blog on Tech Target as well as the latest episodes of the Cloudcast and Mobilecast. Thanks again for coming by! Well, access has proved to be an issue (general wireless saturated, I have TWO MiFi's that both wouldn't work) so I'm writing this offline and will publish ASAP. Usual Live Blog disclaimer, this is me typing as fast as possible, probably spelling and formatting errors, please forgive that. Limited bandwidth so I'll add pictures a little later today as well. Innovation Award: (videos shown of all the finalists, Miami Children's Hospital, USP - University of San Paulo, Essar) - Award goes to… USP for their use case of Cloud Platform and Cloud Portal!! Very exciting to see our customer receive this great reward. We are very proud of to partner with them to help them serve their customers, the students of the university! What is driving the industry? - Consumerization - Mobile devices and Bring Your Own Anything is taking over! Demo Time - Abode PhotoShop running on an iPad - pulls up a picture, using the GPU in the "cloud" to manipulate the picture in real time, shows very complex graphic manipulation in real time. What about applications that have required the "big powerful workstations" until now because of the processing power required? Google Earth running on a virtual machine using a hand gesture technology (have to see it to explain it), Demo of hand gesture control of Google Earth in real time, really cool!! What about IOS, Android, mobile data? How do you deliver a consumer-like mobile experience at work? You then enroll and your "apps" are pushed to the device, Worx Home acts like a corporate app store, could be a desktop, an app, a mobile app, a file, etc. My trend of posting monthly recaps a few days late continues... Sorry about that, hopefully the May recap will be on-time. I was traveling most of April so the blogs this month tend to reflect that. I'll start with the Cloudcast (.net) for the month of April. We published a record number of episodes. A HUGE thanks to both Amy Lewis and Brian Katz for their amazing contributions! Amy did a fantastic job as roving reporter and Brian's Mobilecast is really taking off! As always, please send us any show feedback, we love to hear from you! Next up is my new TechTarget Blog, you have subscribed with your latest Google Reader replacement, right?? I'm really having a good time writing over there. This site (aarondelp.com) has always been more hands on and live blogs from events but the interest in the latest trends around Open Clouds and the operational aspects of cloud computing has been both great and humbling. Thank you to everyone who has taken the time to read the articles and provide feedback! Is PaaS the Gateway Tool for the Enterprise Cloud? - Will PaaS be the nudge the Enterprise needs to accelerate cloud adoption? The only blogging I was able to do on my site this month is Live Blogs from the AWS event. Here are all of them. Thanks again for coming by and I'm looking forward to May!